In this day and age, getting kids to stay active can be a challenge. 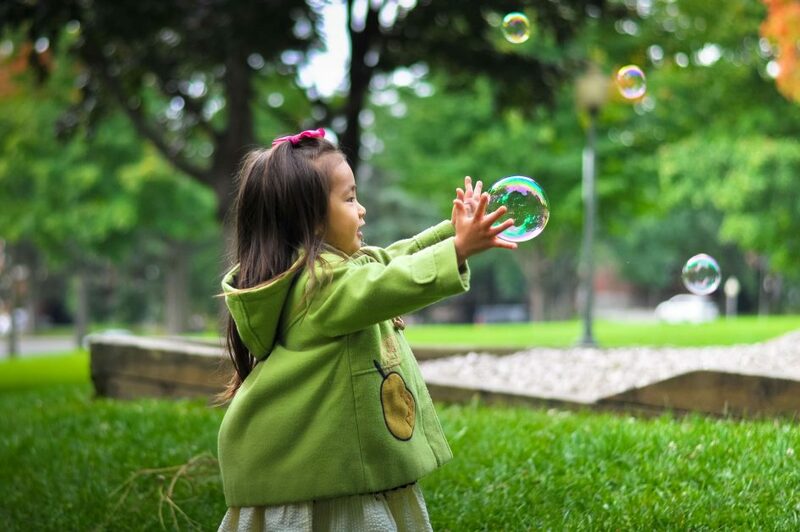 While kids will always love playing with toys, video games, TV, mobile devices, and other electronics have slowly taken their attention away from active play. Playing video games once in a while or watching Saturday morning cartoons is not a terrible thing for your children, but when they spend the entire day inside, on the couch, something needs to change. We get it — you are busy as a parent and when your kids are distracted with their favorite show or a game on their tablet, it can give you a break to do other tasks on your to-do list. Plus, figuring out different activities that will keep them entertained and active can be difficult. When you were a kid, all you needed was a ball and four squares to have a good time, now you feel like you have to come up with a completely unique game to keep your kiddos entertained. Don’t worry! We can help. If you are having trouble coming up with ways to keep your kids active, this blog can help! Our team at Jumpin’ Jamboree is going to give you some ideas to use next time your kids seem to be stuck on the couch. Read on to learn more and start planning some fun things to do on your next weekend off with your kids. Riding bikes around your neighborhood is fun, but it is not something that will always keep kids entertained nowadays. Instead of sending your kiddos out to ride their bikes in circles, plan a fun biking trip that will end with a reward. A good idea is to plan a bike ride to a local ice cream shop. While your kids will be excited about the ice cream, they will also get to stay active and enjoy exploring different areas around your city. While riding your bike to different destinations, you and your kids will have a great time finding all of the new areas that you could never find in a car! Most kids love sports, even if they are not great at them. Signing your kid up for a sport can allow them to be physically active at least twice a week. 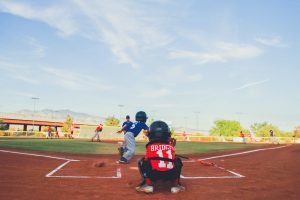 If you are purely signing your kid up for a sport to help them stay active, then let them pick the sport. They are a lot more likely to stick with it if they enjoy the sport they are doing. It doesn’t even necessarily have to be a sport! You can sign them up for any activity that allows them to get moving. From karate to ice skating or maybe even a dance class, signing your child up for a sport or other activity is an awesome and fun way to get them off the couch. They may even find a new hobby that they continue for years! Let’s be realistic. Your kids aren’t going to go outside and run in circles just for the fun of it. To get your kids actively playing you need to give them something to play with! Swing sets, trampolines, basketball hoops, water guns, yard games, and any other items that will keep them active. When you give your children access to these types of toys and items, they will be more likely to be more active throughout the day. Something as simple as rollerblades could be all your kids need to get outside and stay active. Rather than sitting on the couch with your kids on the weekend, go exploring! Head to the beach for a day of swimming and sand castle building or go exploring around the Francis S. Taylor Wildlife Management Area or the Everglades. These are some awesome natural areas where your kids can explore, get outside, and stay active! When you take time to explore areas around your home, you open a whole new world and get your kiddos excited to learn about the world around them. Next time you are sitting at home doing nothing, suggest going on an adventure. We promise your kids will love it! One great way to keep your kids active and to show them that it can be fun is to do it with them and lead by example. If you are sitting on the couch all day and tell your kids to go play, it is unlikely that they will actually do something active. But if you go out with them and play, they will be more likely to stick with it and look forward to the times you play together. If you show them how to live a fun and active life, your kiddos can follow your lead and grow into active adults. Of course, we had to talk about our own business! Jumpin’ Jamboree is a great place to bring kids when you want to keep them active. 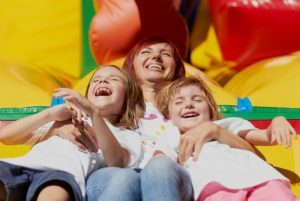 The best part is that while your kiddos are hopping, jumping, sliding, and racing around our inflatable indoor playground, you can sit back and watch or get some of your tasks crossed off of your to-do list (as long as they are something you can do on the computer while watching your children). Our indoor playground is such a fun place for kids and it is sure to get their heart racing and blood pumping. When you bring your kids to Jumpin’ Jamboree, your kids will have a hard time sitting still! With locations in Doral and Kendall, it is easy to find a location close to you. We promise your kids will love playing on our inflatables. And when they do get tired from all the active play, they can take a break in our arcade area! No matter what, Jumpin’ Jamboree can provide a good time for everyone. Getting your kids active may be a challenge. Setting rules, making plans, and coming up with ideas to get them active is a great start! Hopefully, these ideas will help you get your kids up and active on their laziest day. Contact us to learn more, stop by for a walk-in, or start planning your kiddo’s birthday party with us!